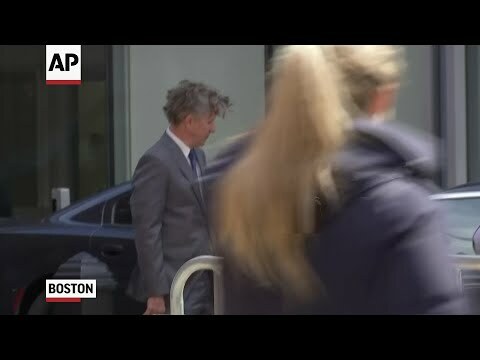 BOSTON (AP) — A judge has granted a request to push back actress Felicity Huffman's court appearance in Boston on charges that she participated in a college admissions cheating scam. NEW YORK (AP) — Scarlett Johansson on Friday withdrew from the film "Rub & Tug" after her plans to portray a transgender man prompted a backlash. In a statement to Out.com on Friday, Johansson said she's pulling out from the project "in light of recent ethical questions raised surrounding my casting." Last week, Johansson said she would star as Pittsburgh 1970s and '80s prostitution ring leader Dante "Tex" Gill, who was born Lois Jean Gill but identified as a man. NEW YORK (AP) — Scarlett Johansson's plans to portray a transgender man have sparked a backlash from many who object to cisgender actors playing trans roles. Eva Longoria was "overwhelmed" as she was honoured with a star on the Hollywood Walk of Fame. The 'Desperate Housewives' star was handed the honour during the event on Monday (04.16.18), which was attended by her famous pals including Victoria Beckham, Felicity Huffman and Ricky Martin. LOS ANGELES (AP) — When the ceremony ends, the partying begins. The Beverly Hilton was abuzz on all floors as outlets such as HBO, NBC Universal, The Weinstein Company, Netflix, Fox and Amazon held post-Globe celebrations throughout the hotel. Across the lobby from the Golden Globes ballroom, stars schmoozed, drank and ate at InStyle magazine's futuristic disco gala. ABC's first post-election pilot pick up couldn't be a more topical show. The network green-lit a pilot order for a single-camera comedy from "black-ish" creator Kenya Barris about two political pundits from opposite sides of the aisle who fall in love despite the odds. The show, called "Libby & Malcolm," stars Felicity Huffman and Courtney B. Vance. According to a logline, the "blended family show" will see the couple "form an insta-family as well as a work partnership."